Here we are in the middle of October, and I get the special honor writing the In Anticipation for, what we here at SSMB have collectively ranked as our most anticipated movie of this month, Cloud Atlas. Adapted from David Mitchell's novel of the same name, the film is directed by The Wachowski Siblings Andy and Lana, and Tom Tykwer and stars a wide array of cast members who play multiple characters within the film. 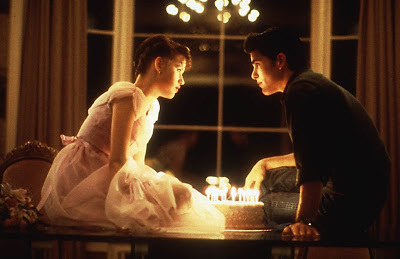 The film works as a collection of six stories existing in the past, present, and future vaguely connected by emotional times and how different decisions and actions made by the characters affect the passage of time. This unique story and the way in which it is told allows for many genres to exist in this one film; period, romance, drama, comedy, science fiction. Now this is me speculating, but from the synopsis, different readings I've done, and various trailers I've seen, it could be said that this movie has something for everyone, no matter what kind of movies you're into. It's no question that Cloud Atlas registers pretty high on our radar. With its epic scale, high pedigree actors, many genres, and its mosaic narrative, there is something there that captures the attention. Let me dive into a few key things that have subjectively caught my attention and heightened my anticipation. Like everyone else in the world, Tom Hanks is my favorite actor. I know he's not an exciting choice or anything. Claiming him as my favorite actor is a lot like claiming your favorite band is The Beatles. "Yeah, you and everyone else! Way to be original, buddy!" What has me excited to seeing my favorite actor leave his wheelhouse of drama and comedy into science fiction. The closest thing we've come to seeing Hanks take on a role int he science fiction fantasy realm is Splash, Big, and The Green Mile. 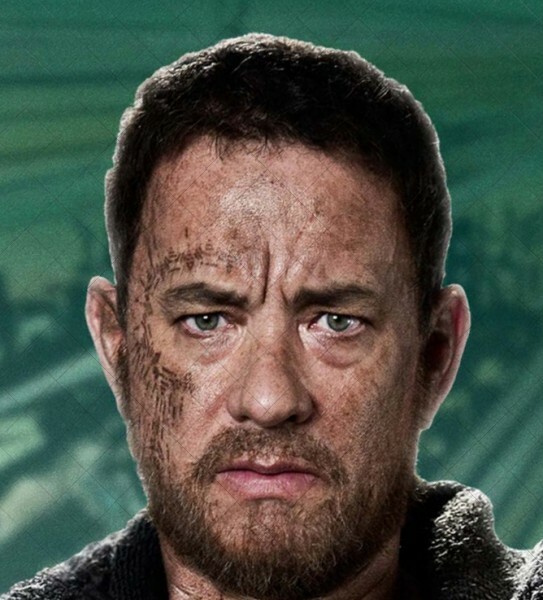 It looks like we are going to see hanks rooted in some deep science fiction action, which I am highly looking forward to. You've gotta hand it to these guys... er, people. They know how to handle epic scale and special effects. This movie is definitely not lacking in those arenas. The Matrix is one of the greatest achievements to come out of the 1990's; one of the greatest achievements in sci-fi/action. You could say, once parts 2 and 3 are forgotten, the first Matrix movie will live on as an undeniable classic and be considered one of the greatest achievements in cinema. Am I giving too much credit to a pair of directors who have made one perfect movie? I don't think so. Even with the disappointing aspects of Matrix Reloaded, Revolutions and Speed Racer, you always have to go back and remember, these are the people who made The Matrix. There are some people who get lifetime passes for one act of greatness. For Michael Jackson it was Thriller, for Clint Eastwood it's The Man With No Name Trilogy, For Pauly Shore it's Son-in-Law, and for the Wachowski Siblings it's The Matrix. I am fully confident they can pull this off, especially with the help of the third director Tom Tykwer. Below is a introduction to the first trailer from the directors. Give it a watch. They go into how complex the movie is yet they totally sell me on seeing it even with all the complexities. This one is easy. SciFi/Fantasy is the genre I am most drawn to. The movie has a segment that takes place completely in a conceptual future, so of course I want to see it! This is where it gets interesting. Maybe someone isn't into fantasy but when they watch the trailers they see the period segment. Maybe that person is really into costume dramas and the trailer really speaks to them and pushes them to see this movie. That's what I am most excited about with this movie, people into different kinds of genres all going to see this one film. I love that because of the use of multiple genres they are able to sell this movie in a variety of ways. Sometimes this movie looks like a total summer blockbuster and has you questioning why on earth is this coming out in the Fall. Other times it looks like a total Oscar contender making perfect sense of its Fall release. Again this only adds to my excitement of the possibility of many different social groups coming together in an auditorium to view a movie. "Everything is Connected" is the movie's tagline. And I know I'm sounding like a broken record here, but for me, I'm excited for different types of people from all different walks of life relate to different parts of the trailers and decide to see this movie. Different types of people coming together, connecting with each other, and finding ways to relate to one another. I feel the following TV Spot Preview most successfully gets this idea across. I'm curious to know what aspects draw people to this movie. My list above is what has hooked me. For you, was it the ships crossing vast ocean-scapes of the past? Perhaps the period costumes of the the past? Maybe the always reliable comedy brought on by Jim Broadbent? Maybe it's seeing actors you love working against type or seeing them play multiple roles? It's possible you're interested in the craft sides of things with the special effects and make-up? Maybe you read the book and you want to see if it's a faithful or conceptual adaptation? Sometimes a film this ambitious can be dangerous, sometimes they don't work. But when they do it's almost a religious experience. I have high hopes that this ambitious project plays well not only for myself but also for critics and the masses. It would be nice if this movie has what it takes to snag a bunch of awards here and there and challenge the Academy's "traditional ways" with a Best Picture nomination. 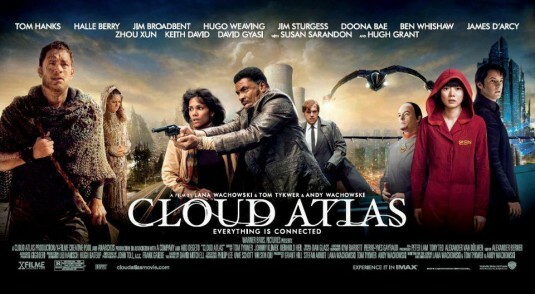 Cloud Atlas opens with a wide release on October 26. Currently, Cloud Atlas holds an 81% on Rotten Tomatoes. Will that high percentage stick? Only time will tell.